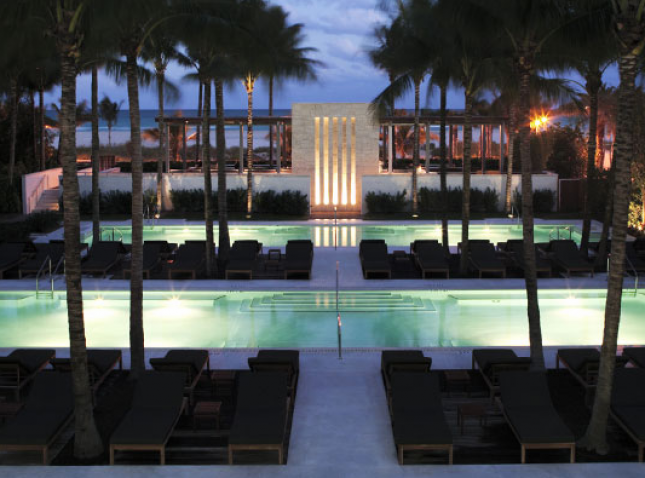 The Setai is a first-class oceanfront resort in the heart of South Beach. 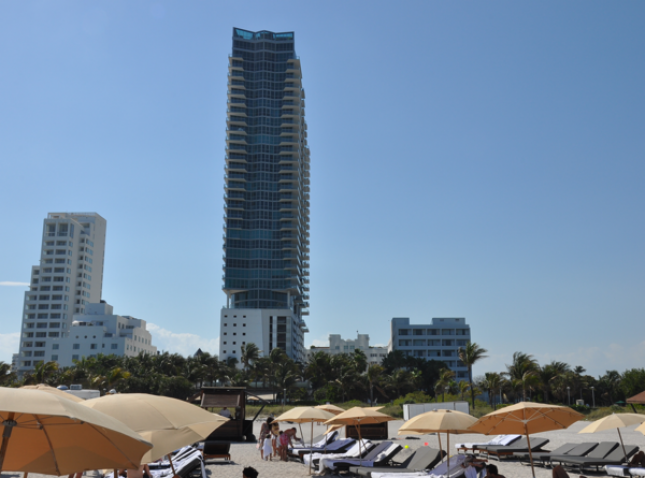 The Setai is perfectly situated in the internationally famous Art Deco neighborhood of South Beach with more than 900 historical buildings that showcase the golden era of South Beach's architecture. 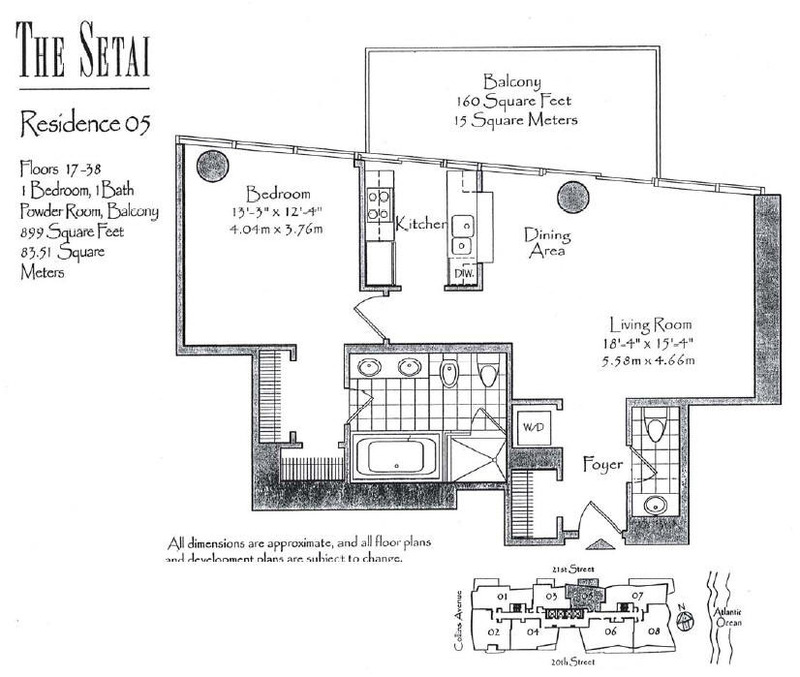 The Setai started life as the Dempsey Vanderbilt Hotel which was constructed in the 1930s during the height of the Art Deco movement. The magnificent 40-story glass tower of the Setai features a distinctive design that pieces together the flamboyant architectural history of the neighborhood with the International Art Deco movement. 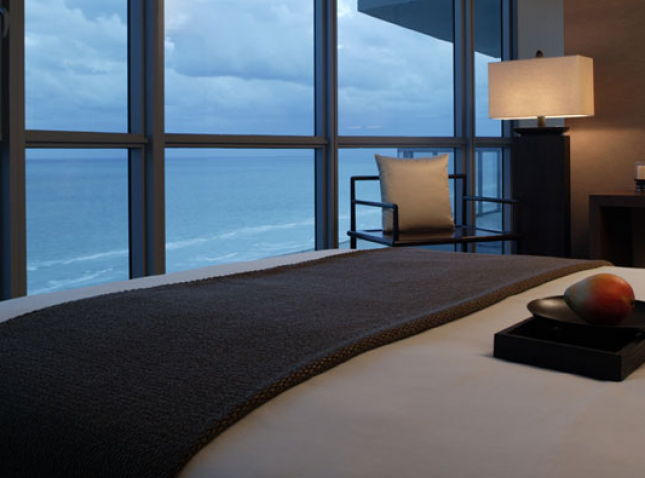 The Setai was voted as the #1 hotel in Miami Beach in 2013 by U.S. World & News Report and the #1 Best Hotel in Miami and Miami Beach, as well as the #2 Best Hotel in Florida by Conde Nast Traveler Magazine's 2013 "Reader's Choice Awards". 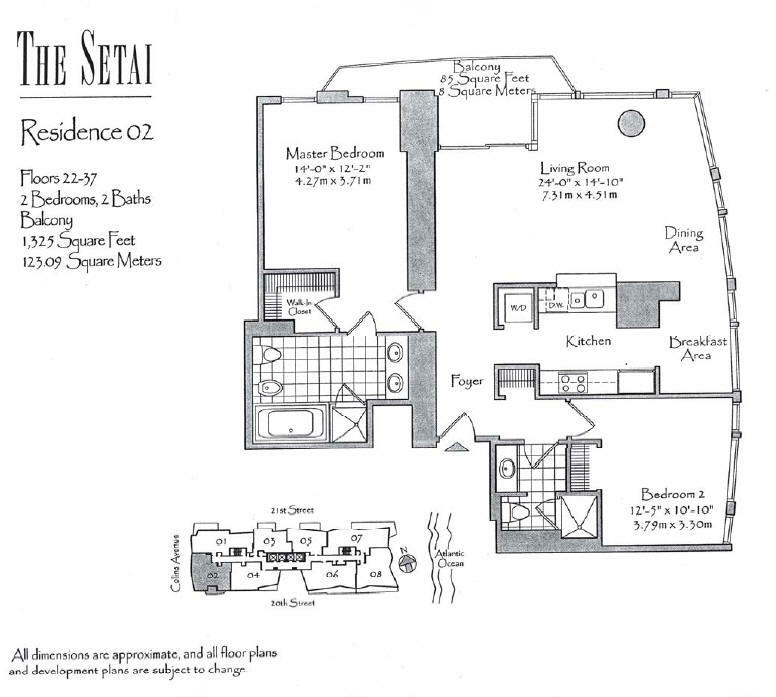 Perfectly located on Collins Avenue at 20th Street, the Setai is within a walking distance from the most desirable South Beach's places of interest. Trendy boutiques, lounge bars, exquisite restaurants, unique stores are everywhere you go. Take a walk down pedestrian-friendly Lincoln Road with a breathtaking variety of cafes. Feel the Spanish vibes of Espanola Way. Soak up a little bit of the heartwarming Floridian sun, admiring the beauty of the best South Florida's white sand beaches. If you want to get adrenalized, Biscayne Bay situated within a 10-minute walk from the Setai offers a fantastic variety of exciting watersports, including jet skis, boating, kayaks, canoes. There's plenty of galleries, museums, exhibitions, musical events. Sporting arenas showcasing South Florida's football, baseball, ice hockey and basketball teams are within a 20-minute drive from the building. 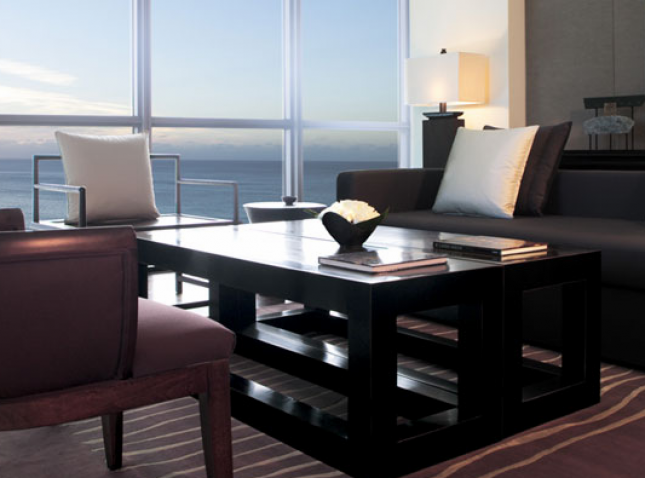 What's more, the Setai is conveniently located just 25 minutes from Miami International Airport and 15 minutes from the Port of Miami. 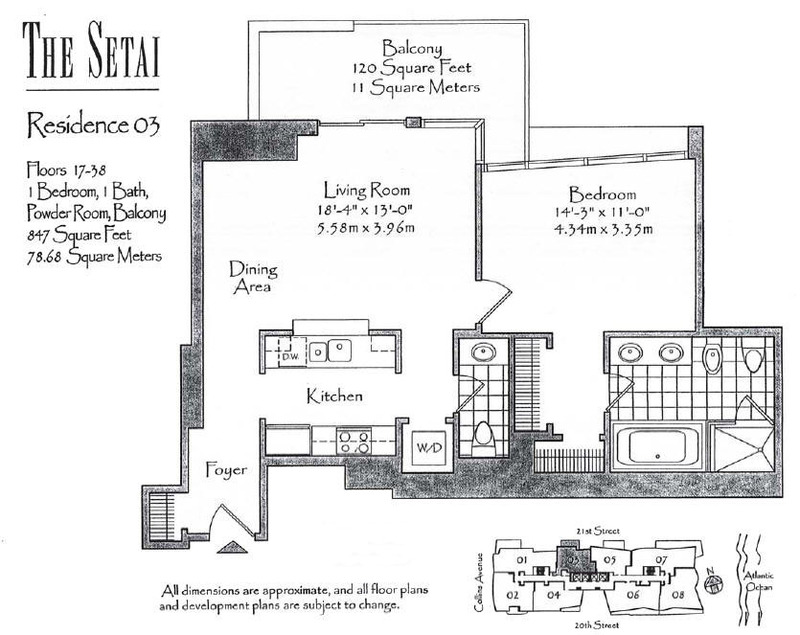 The Setai's amenites meet the highest requirements. The hotel offers excellent dining options. Spend an evening in the Restaurant offering an award-winning wine list and an exquisite menu which includes Asian cuisine as well as French and American classics. Try out New York-style steakhouse the Setai Grill that offers delicious French gastronomy, or go to a 90-foot-long beachfront Pool & Beach Bar where you can taste Mediterranean-style dishes and delicious beverages. If you want to keep fit or get refreshed, visit a world-class spa or fully equipped fitness center for a training, yoga or Pilates session. What's more, the hotel features three pools maintained at different temperatures. Just choose what's more comfortable for you. 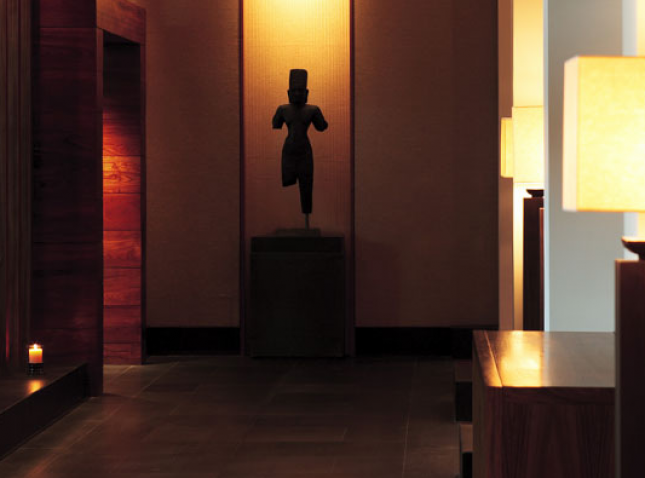 Life in the Setai is all about the options. 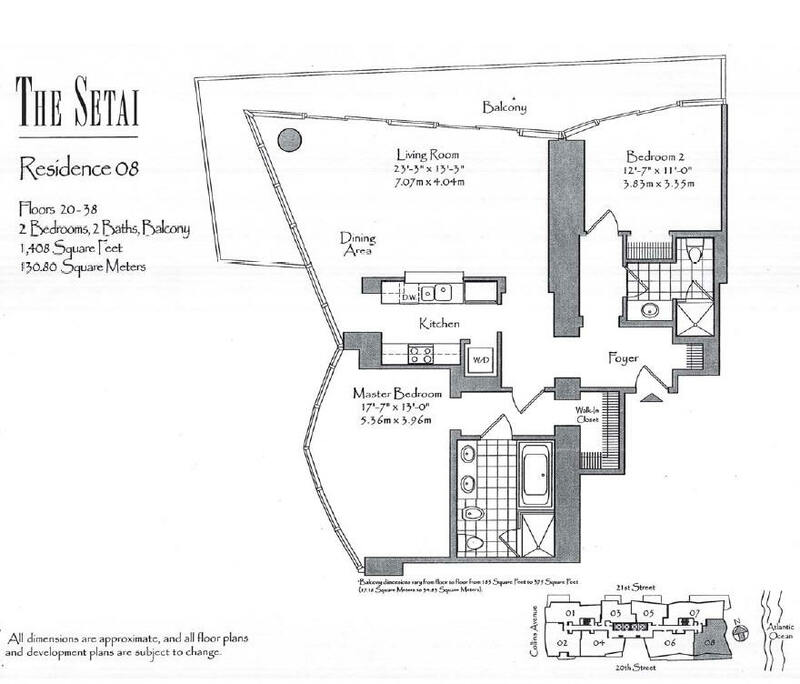 The Setai is comprised of two buildings. 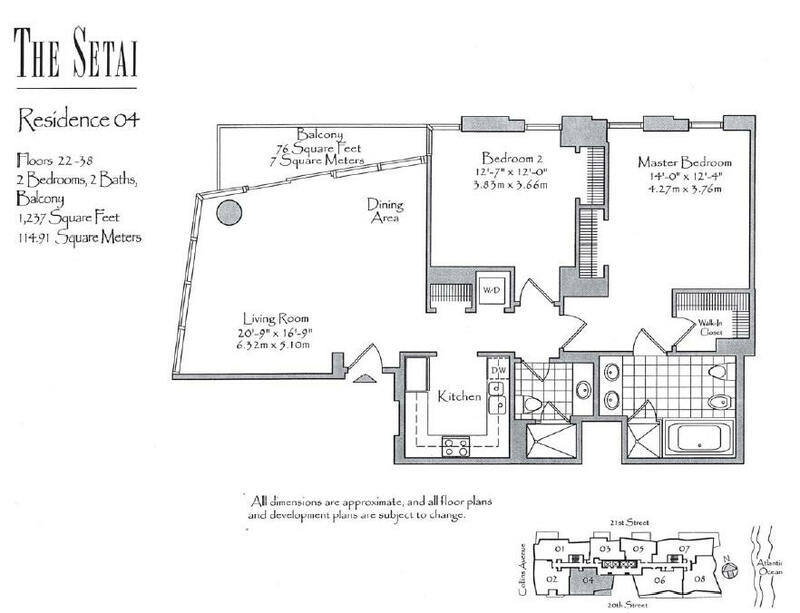 The Art Deco building features studio suites, junior suites and one bedroom suites, while the Tower offers one, two bedroom suites as well as speciality suites, from a two-bedroom-and-den suite up to a stunning penthouse. All in all, the hotel features 75 rooms and 50 suites. Guest rooms have teak floors, Irish bed linen, flat-screen TVs, Lavazza espresso machines, as well as rain showers and bathtubs in the bathrooms. 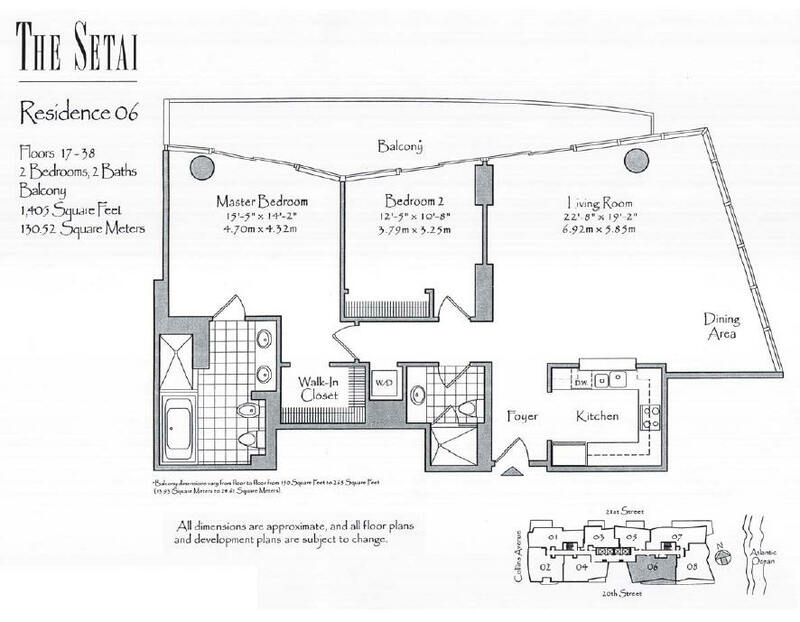 Each guestroom has an immaculate interior design as well as ultramodern appliances. 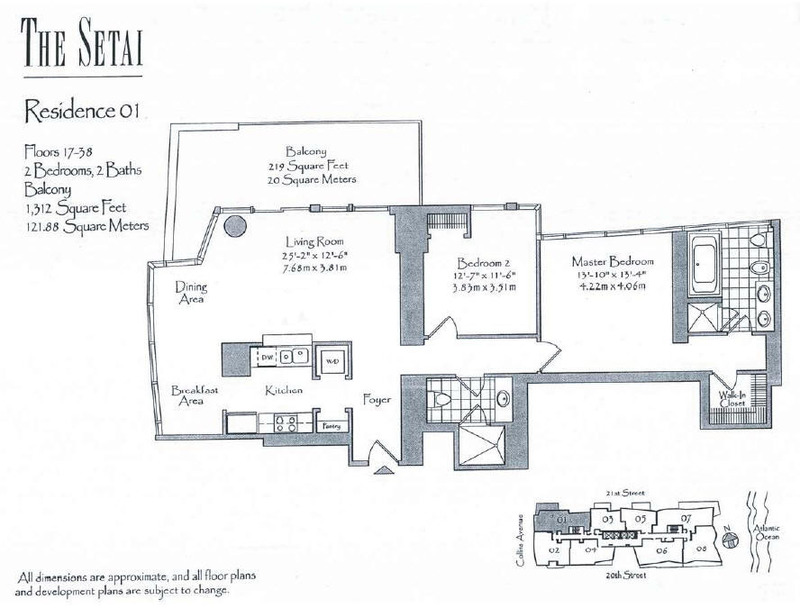 The Penthouse is situated atop The Setai’s glass Tower, representing the pinnacle of luxury and elegancy. 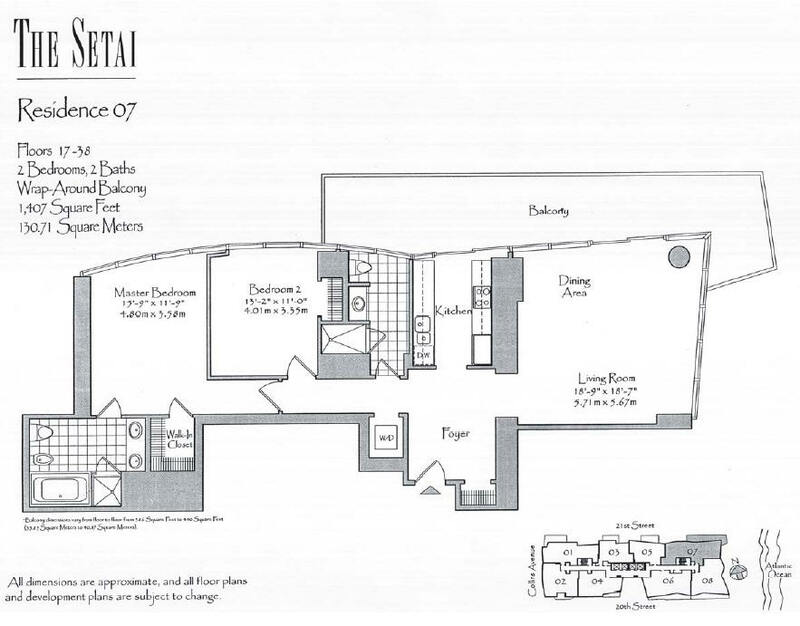 The 10,000 square foot Penthouse occupies the entire 40th floor, featuring a 4,000 sq ft rooftop terrace with a magnificent private eternity pool and Jacuzzi offering breathtaking 360 degree views of Miami Beach. 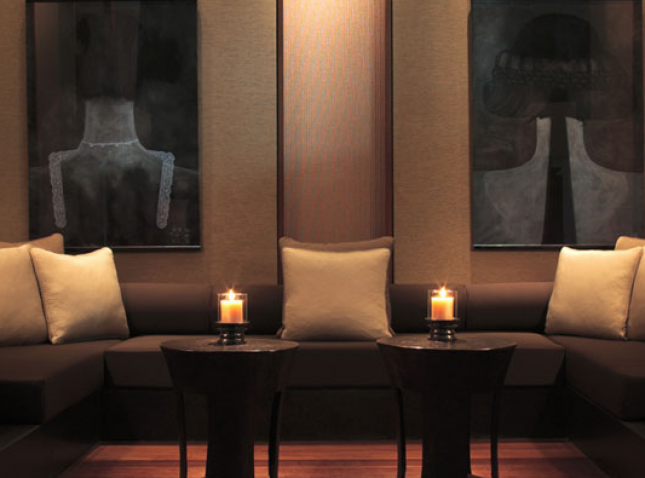 The Setai makes dream and day truly unite. It's something you shouldn't miss!